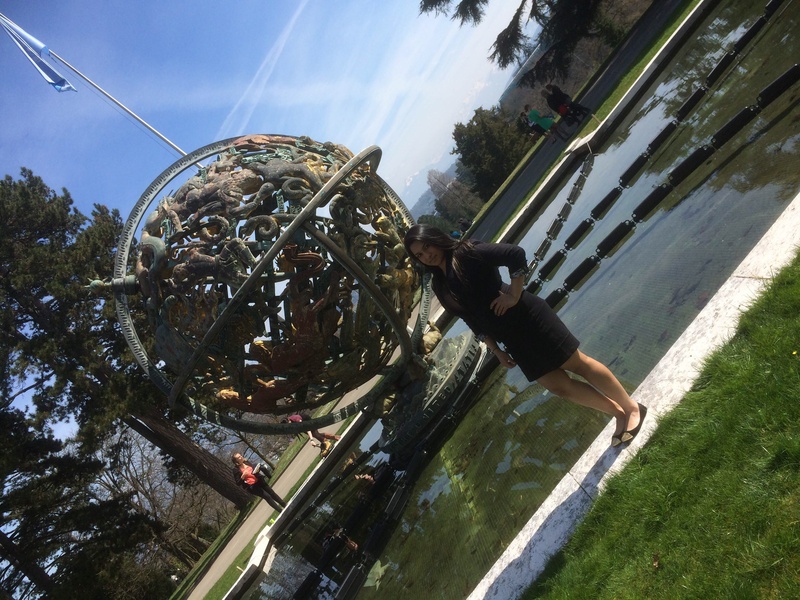 Rumsha Zahid ’15 in the gardens of the Palais des Nations at the 2014 Geneva International Model UN conference in Switzerland. Attending an international Model United Nations conference is a unique experience and provides a great opportunity to expand your horizon of knowledge. Model UN allowed me to enhance my diplomatic skills as well as increased my confidence. Participating in the 2014 Geneva International Model United Nations conference, not only challenged me but gave me the courage to strive for success. One of the important life lessons I have learned through Model UN is to never give up. I realized that even though there are many obstacles, one should always go forward and work to overcome them. Nothing is guaranteed, but as long as a person gives their best, they will certainly achieve. This entry was posted in Student Delegate Blogs and tagged Geneva, Geneva International Model United Nations, GIMUN, Model UN, Model United Nations, MUN, Pace University, Palais des Nations, Rumsha Zahid, Switzerland, UN, United Nations. Bookmark the permalink.